A child-friendly poster aimed at children aged 3 to 10 that reiterates their right to feel safe. To be displayed at schools, early learning centres, sports clubs and other organisations and spaces where children spend time. 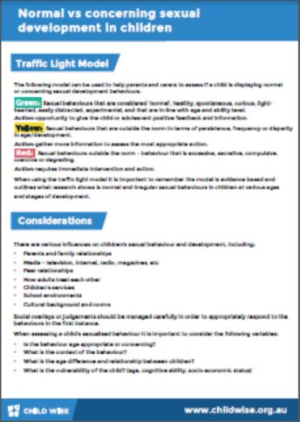 The following model can be used to help parents and carers to assess if a child is displaying normal or concerning sexual development behaviours. 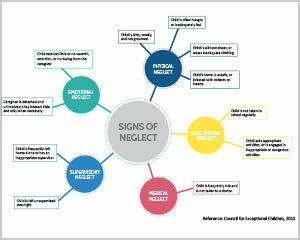 A helpful poster that provides an overview of actions or non-actions that may hurt a child or young person and put them in danger. “Rights” are things every child should have or be able to do. All children have the same rights. A tool for parents – questions to ask organisations about your child’s safety.